Recently, GoDaddy and Microsoft announced their intentions to work together on various projects. Now they've revealed their latest collaboration. It's called Get Online Today. From this package, users receive Web hosting, site building services, and e-mail through Office 365 for $1.00 per month through Year One. Subscribers receive a free $50 credit toward Bing Ads, too. 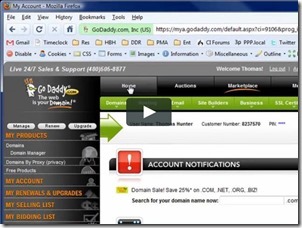 Of course, GoDaddy offers tons of Web hosting and related products including Google Auctions. Each product is priced individually, and creating a custom package isn't always easy. Get Online Today offers users an all-in-one package, though. Without a doubt, both companies are trying to compete with sites like Squarespace and WordPress. More so than that, though, both companies are targeting inexperienced website owners.